Rather than relying on a physical telephone line to connect your alarm with Provident’s Operations Centre, BLINK™ allows any alarm system to communicate using wireless technology. BLINK™ is a wireless mesh radio network that offers the fastest and most secure method of transmitting alarm signals. 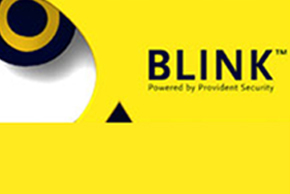 Where a landline or cellular connection will take between 40 and 60 seconds to send an alarm signal, BLINK™ provides a virtually instantaneous connection with Provident’s Operations Centre… sending signals within four seconds. Connecting your home or business to our BLINK network involves having one of our technicians installing a BLINK™ mesh radio and integrating it to your existing alarm system. This is typically done within two hours. There are no cellular or radio towers to communicate with and no reliance on 3rd party communications providers. Once installed, your alarm system will no longer need a telephone line to communicate… it will always be ‘online’ and always ready to send an instant signal to our Operations Centre in the event of an alarm. Each BLINK™ transceiver acts as a signal repeater on the network (which is why it is referred to as mesh radio). This ensures that there is no single point of failure in the network and that every BLINK™ transceiver has multiple communication paths to the Provident Operations Centre. Comparing BLINK™ to how a traditional alarm system sends an alarm is akin to comparing the speed of a high-speed ADSL internet connection to a dial-up modem… without any security risk or consistency issues. BLINK™ is the fastest and most secure method of alarm signal transmission. With BLINK™ you are protected against telephone line cuts. Because BLINK™ becomes the primary method of communication for your alarm, you can safely choose alternate telephone line options such as VoIP without creating any security risk for your alarm system. When BLINK™ is coupled with Provident’s guaranteed five minute response service, Provident clients are assured of the fastest possible response to any alarm signal. With BLINK™ our response teams are often at a client’s home before a ‘regular’ alarm is able to send its first signal. 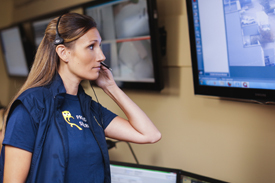 Simply put, BLINK™ provides the highest possible level of security for you, your family and your business. BLINK™ is exclusive to Provident and is available throughout Vancouver’s Westside, UBC, the Downtown Core as well as in West Vancouver and Bowen Island.